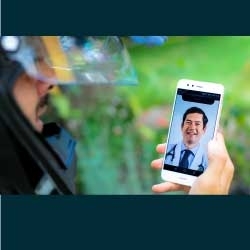 Ecuador Freedom Bike Rental Adds Medical Consultation Services Through MultiDoctores. Quito, Ecuador, September 06, 2018 --(PR.com)-- Ecuador Freedom Bike Rental, the country's premiere adventure motorcycle touring company, recently announced a new partnership with a leading medical service, MultiDoctores. Also based in Ecuador, MultiDoctores provides 24-hour medical consultations with board-certified physicians via a revolutionary new smartphone application. Founded in 2009, Ecuador Freedom Bike Rental continues to push the envelope with new services to improve their guests’ travel experience. The safety and wellness of their clients is their top priority and MultiDoctores adds an extra layer of security should a trip not go as planned. The smartphone-based MultiDoctores platform allows patients to quickly and easily contact physicians at any time of day. Medical advice is exchanged in real time via live chat, video conference, or voice call. Any necessary prescriptions are then sent through the app with medications available at any pharmacy in Ecuador. Dialing up a doctor is easy with Ecuador’s growing communications network. The MultiDoctores platform, available for Android and iOS mobile devices, has serviced more than 100,000 patients and is trusted by many well-respected organizations including the United States Embassy. Ecuador Freedom Bike Rental’s partnership with MultiDoctores demonstrates their commitment to make travel as worry-free and secure as possible. Their guests can now focus more attention on the task at hand - exploring the beautiful landscapes and cultures of Ecuador.